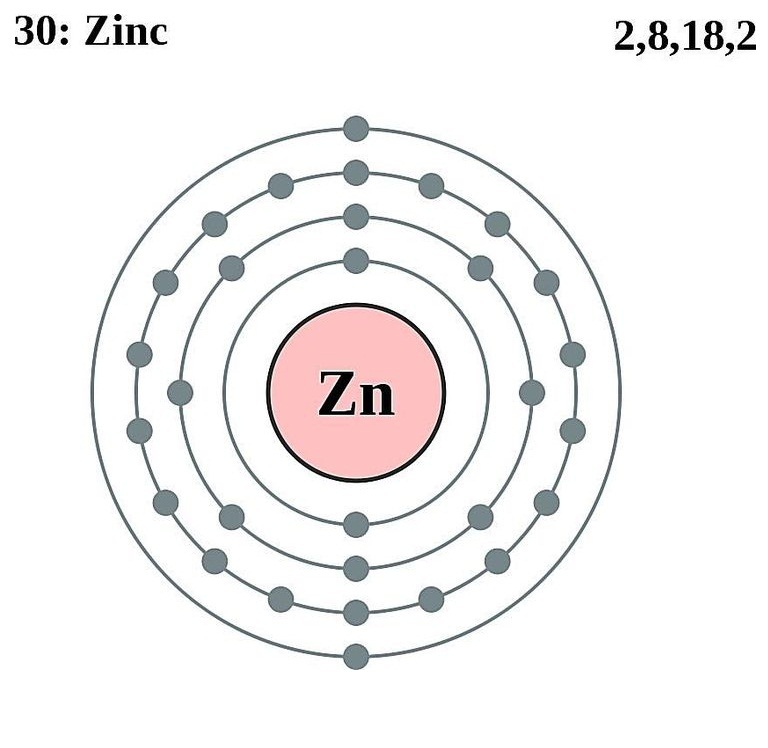 Zinc is a transition metal denoted by the chemical symbol Zn. It is brittle at room temperature, but turns malleable above 100 °C [1, 3]. It is also used in the form of powder and dust. 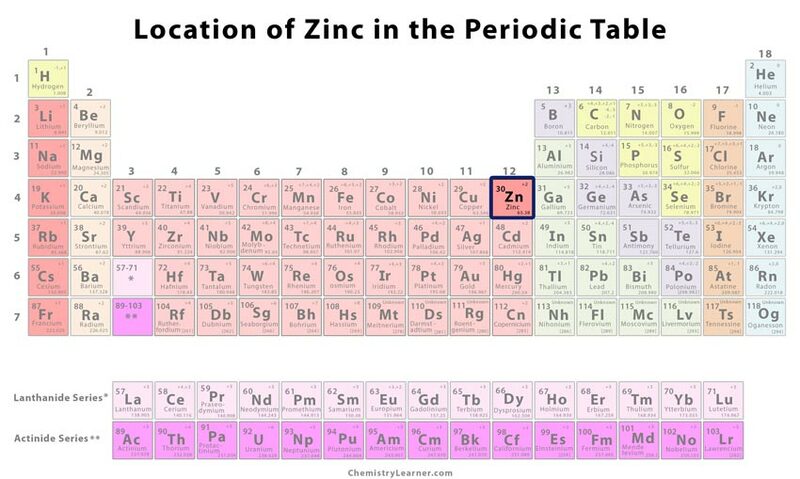 It has 25 isotopes with mass numbers ranging from 57 to 83 of which only Zn-66, Zn-67, and Zn-68 have a stable half-life . It exists in several ores like zinc blende and calamine, commonly found in mining areas of Australia, China, and Peru. The ores are generally roasted and then reduced by heating with carbon or electrolysis. Origin of its Name: It is a German name that might be derived from the Persian word ‘sing’, meaning stone. Although the metal was sometimes used by the Romans, it was identified in the smelting waste of an unknown compound at Zawar, Rajasthan, India. The period from 1100 to 1500 the waste products were commercially refined to extract it. The same process was also carried in the 1500’s in China. 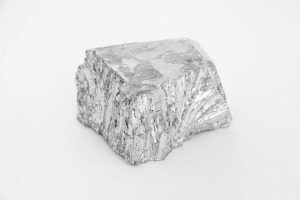 In fact, when a cargo was retrieved from a sunken East India Company ship, pure zinc ingots were found. 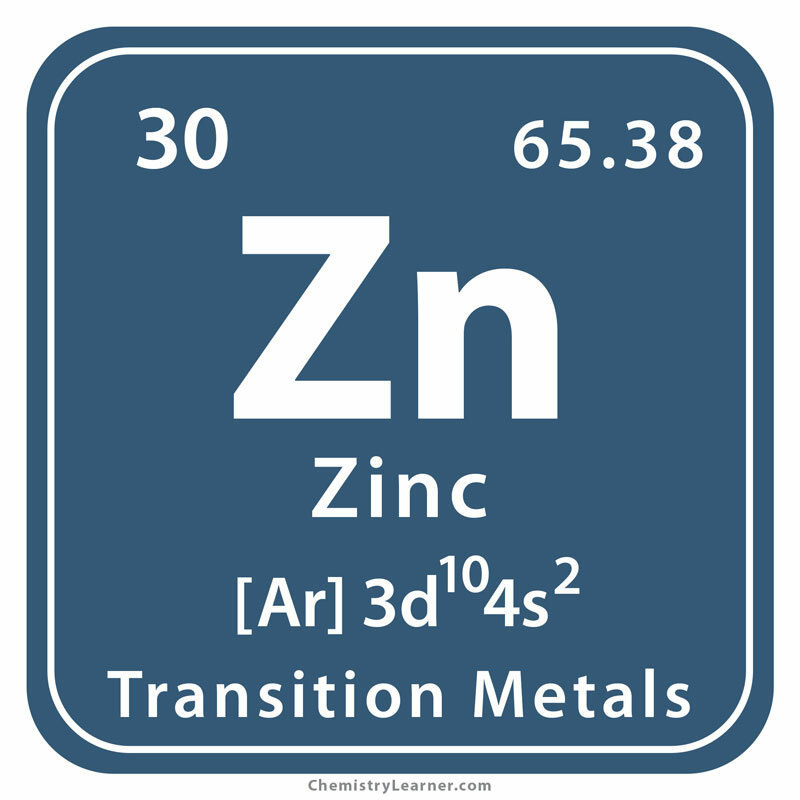 In 1668, P.Moras De Respour, a Flemish metallurgist claimed to extract zinc from its oxide. However, the Europeans believe its actual discoverer is Marggaf who identified it as new metal in 1746. It’s most important application is galvanization where metals like iron subjected to rusting and damage are plated or coated with Zn flakes. Galvanized steel is used in the manufacturing of eye bolts, nails, cases, lamp posts, pipes, screws, knobs, fasteners, suspension bridges, and safety barriers . Zinc-air batteries where carbon, nickel, copper, iron, or bromine is used as the cathode come with a long shelf-life and high energy that help in the operation of electric vehicles and utility-scale storage systems . In some rechargeable cells required for hearing aid and fuel generators, zinc sponge (porous zn) is used . Die castings made of molten Zn are used in automobiles, skateboards, and electrical and hardware equipment . It is used in the alloys like aluminum solder, brass, and nickel silver through a process called electroplating . Zinc-nickel plating alloys lend a smooth finish when applied on several vehicle parts like wheels . The oxide and chromate of the element, known as yellow zinc and black zinc respectively, have the same application. It works as an effective catalyst in the polymerization of lactides . Its sheets are used in covering tabletops, countertops, guttering, flashings, claddings and sliding to prevent corrosion . 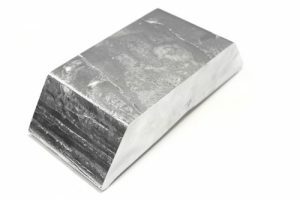 The metal is used in making kitchen sinks, planters, wall shelves, mirror frames, washers, wires, coins/pennies, and rods. Roofs lined with zinc strips and panels help in preventing moss growth. 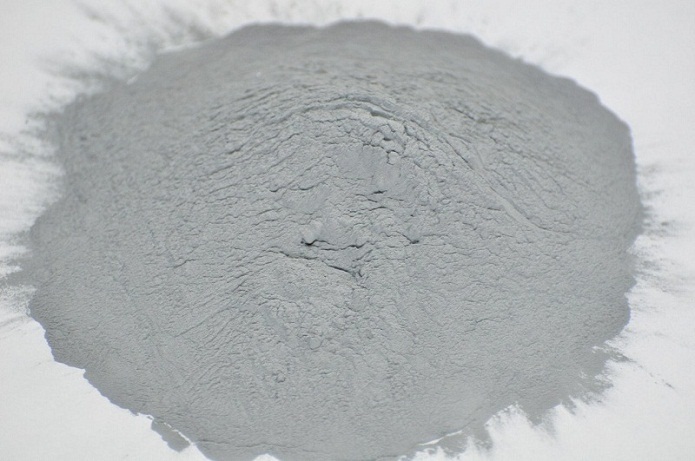 Zinc-rich paints comprising of the metallic dust and organic/inorganic binders are used in painting and spraying steel . The metal anode is one of the constituents of boats used as a protection against corrosion . 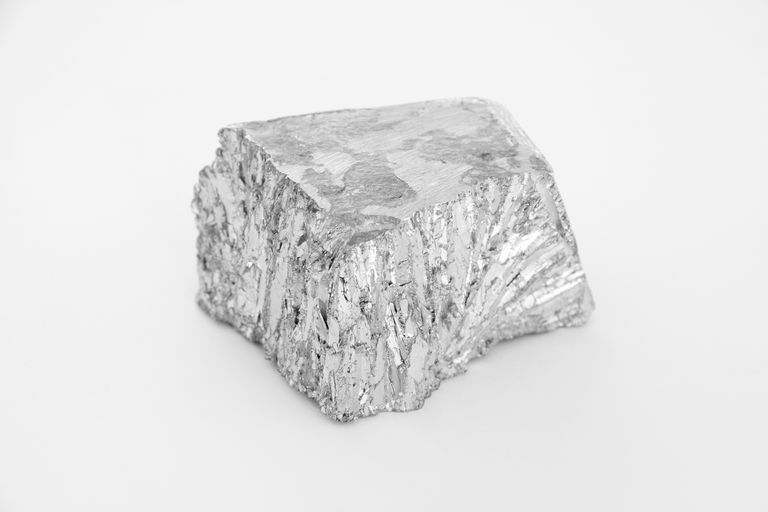 As a substitute for deuterium, zinc is used for making lamps and lantern due to its long life, excellent thermal stability, and high energy peak . It also finds application in jewelry-making. 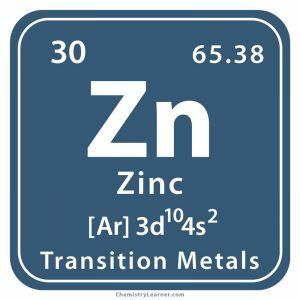 Zn is an active ingredient in ointments, creams, and pills. There many natural food sources, including fruits and vegetables with zinc content that are consumed on a regular basis. However, direct ingestion of metallic element affect the digestive system causing nausea, vomiting, and diarrhea as a result of an allergic reaction. Constant accumulation in kidneys and lungs can have serious damaging effects . 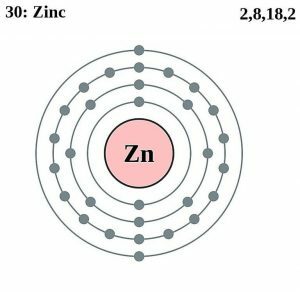 Zn though not magnetic can interact with a magnetic field as result of flow of small electric currents, exhibiting some amount of magnetism . 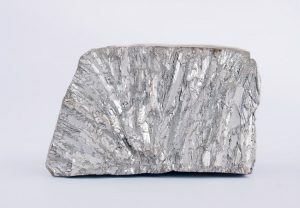 About 2.5 g of the metal is present in a normal human body . Its alchemical symbol represented by an abstract background draws inspiration from roofing materials made from it . 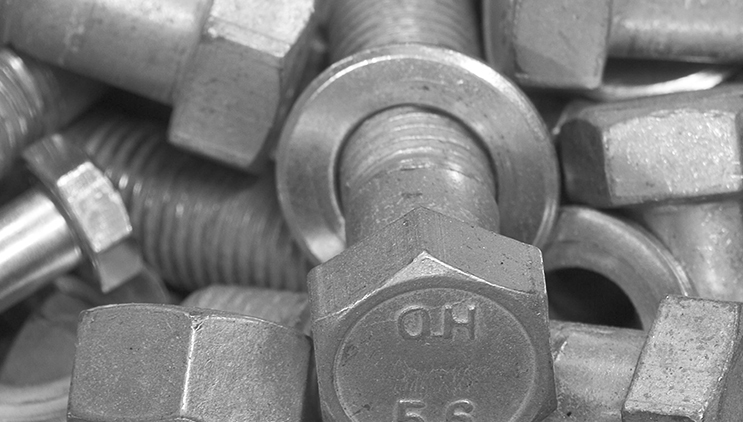 The pure/raw metal costs anywhere between $1.6 and $1.7 per gram.